Salad Bowl lettuce includes both red and green varieties. Amply named, one plant fills a salad bowl with no need to add other lettuces. 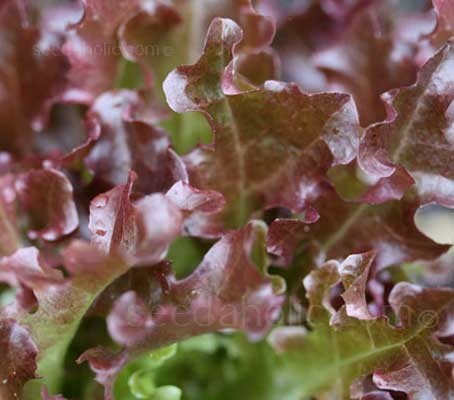 'Red Salad Bowl' is a large fast growing rosette lettuce with long, burgundy-red, deep cut leaves. This award winning variety was introduced in 1955 and produces large, slow bolting, non-heading plants with sweet, succulent leaves. Sow successionally every 7 to 10 days from March to August for harvesting April to October. Regularly harvest individual leaves and Red Salad Bowl will keep producing right to the end of the season. This very decorative variety is also at home in windowboxes or an ornamental border, try it as an edging or scattered through other plants. 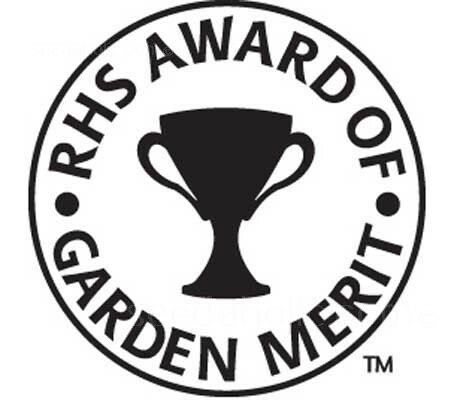 Lettuce 'Red Salad Bowl' was awarded the Royal Horticultural Society’s Award of Garden Merit (AGM) in 1993. This variety has been trialed, tested and is recommended by the National Institute of Agricultural Botany. Never sow a whole row at once, a small row about 60cm (2ft) long is adequate for most households. For a continuous crop, sow short rows every two weeks. Lettuce can grow from seed to salad in about one month in many regions, and only a little longer in others. The key to tender and tasty lettuce is rapid growth, however lettuce has a relatively shallow and compact root system that doesn't absorb nutrients and moisture from the soil very efficiently, which can slow the growth. So to encourage fast growth, add plenty of finished compost before planting and again as a side-dressing a week or so after seedlings appear or transplants are planted. Give supplemental feedings of compost tea every few weeks until harvest. Sow indoors: Anytime of year for babyleaf and four weeks before transplanting outside. Spacing in beds : Leaf lettuce for continuous harvest: 1.3cm (½in) in bands. Sow at a seed depth of 6 to 12mm (¼ to ½in) Seed will germinate in 7 to14 days. Sow seeds in short rows about 30cm (12in) apart. To do this, make a shallow trench with a cane about 1.5cm (½in) deep. Tip a small amount of seed into your hand, take a pinch and spread thinly along the trench. Cover with soil, label and water. If birds are a problem in your garden, spread netting to prevent them eating the seed. Keep soil just moist. 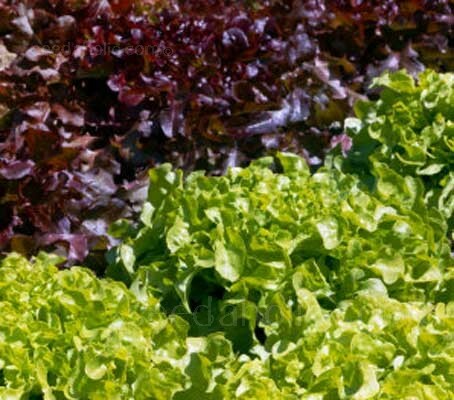 This is particularly important when the lettuces are one or two weeks away from harvesting, as dry soil now will cause the plants to put their energy into producing flowers. Harvest as soon as they are big enough for the salad bowl. The harvest is over when a central stem starts to form. This is the signal that the plant is getting ready to bolt, then the leaves will be bitter. Everything, but especially carrot, garlic, onion, and radish. Also known as the Iceberg lettuce, this is a very popular lettuce worldwide. It has a white, crisp densely packed heart. It should be light green and have a springy firm feel. A great lettuce if you plan to use the whole lettuce all at once. The leaves soon lose their crispness in the fridge. A delicious lettuce with a tender buttery taste. It has an open loose leaf head and compact, crisp hearts. This popular lettuce is no 'supermarket' variety, but rather a proper lettuce with an exquisite flavour unavailable from anywhere but from your own vegetable patch. This hardy lettuce, originating from the Mediterranean island of Cos, also known as Romaine lettuce, has tall light green leaves with pointed tips, slightly savoyed leaves and a pronounced ribbed structure. The cos lettuce should have a lovely crunchy texture and a light sweet flavour. It is the lettuce of choice for Caesar salads. Also known as 'leaf' or 'Continental' lettuce, these lettuces do not form heads, rather a mass of loose leafs which can be picked individually as required. They are represented by a great variety of leaves, thick leaves, thin leaves, flat or curled, red or green. The foliage of the leaf lettuce can be an attractive addition to the vegetable garden and the flavour very pleasant. Can be grwon all year round.